The affinity between the development team and the software seems to have been really good on these remakes. It does. I'd thought these teams would do well on the projects from the beginning, which is why I put them in charge of them, but they've performed at a level even beyond my original expectations. To me, it feels as though there's a healthy, active respect for the masterpieces of the Nintendo 64 era. There may very well be. It seems a bit odd for me to say this, but it's as though they all felt a bit proud to be entrusted with these titles, and that it improved their powers of concentration. I feel so too, especially about the team in charge of Ocarina of Time really. In other words, as they worked, they knew that what they were working on would be seen by people all over the world. That's one of the benefits of doing a remake of a good game. True. They've got that pride from the outset, so the standard of how far they'll go is set high. Honestly, it felt as though I was the one who was too ready to tell them, "Okay, that's good enough." (laughs) Seriously, this team is really doing well. It feels as though things are getting done at a good pace. It does. The hardware is new for all the development teams this time, you know? Usually, there are lots of things they don't understand when they're working with new hardware. A lot of the time, things turn into a litany of excuses about why they can't do something. This time, though, it's as though all of them naturally have a sort of pride in getting past those obstacles, as though that's what "skill" is all about. That's true. Even more than that, it feels as though they're actually glad that there are things that aren't in place yet, things that haven't yet had all the kinks worked out. Yes, yes, yes. (laughs) That feeling loomed large for me as well, when I was a programmer. When there's something you want to do, but you can't do it easily, it's great to be able to use your skills to get past it. That's one of the big motivators during game creation. I know that feeling very well. (laughs) You love seeing that reaction: "What!? You can even do this?" If they draw out the hardware's potential that way, the games are richer for it later on. Nintendo 3DS in particular is hardware that's worth going head-to-head with. Yes. It feels as though there's an incredible number of things you can do with it. 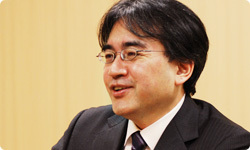 In that sense, too, I felt that there was a lot of meaning in doing remakes of two games. 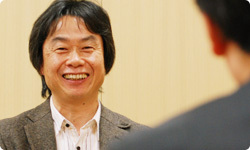 Miyamoto-san, when you started remaking these games, did you have absolutely new players who knew nothing about either Ocarina of Time or Star Fox 64 in mind? Or were you thinking of players who'd find the games nostalgic? Hmm... well, both of them. We've made the games so that even people who played them in the past won't get bored. That's true, and for first-time players, it will be a totally new experience in any case.